Professor Linda Theron was invited by Prof Robbie Gilligan to present a guest lecture at Trinity College, Dublin on 23 February 2014. The lecture entitled, Stories of South African Youth: Doing well in challenging contexts, made public some of the quantitative and qualitative findings of the Pathways to Resilience study, South Africa. There were many questions at the close of the lecture, particularly about the findings pertaining to resilience and culture, confirming the importance of culturally sensitive investigations into resilience. 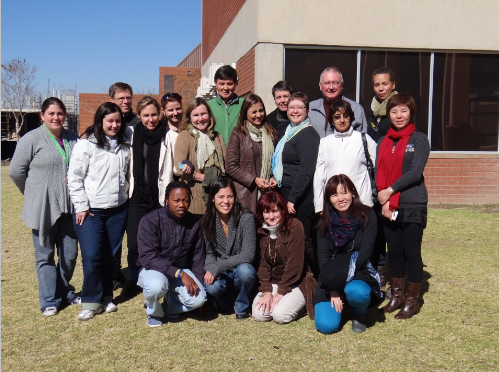 During her visit to Trinity College, Linda Theron was also invited to facilitate a workshop for post-graduate students and researchers that focused on dealing with cultural differences when doing research with young people. The contents of this workshop were based on the rich experience she gained in heading the Pathways to Resilience Project in South Africa and in collaborating with affiliated researchers in Canada, China, Colombia and New Zealand in the course of this. Th Pathways findings were also disseminated at the 2nd World Congress of Resilience in Timisoara, Romania, 8-10 May 2014. The paper was entitled Pathways to resilience in rural contexts of chronic poverty and danger: A South African study and co-authored by Linda and Tinie Theron. The congress also provided an excellent opportunity to extend and/or cement networks with leading, international resilience-focused researchers. 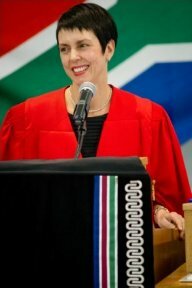 Professor Linda Theron, School of Education Sciences, North West University, South Africa will deliver a lecture entitled ‘Stories of South African Youth: Doing well in challenging contexts’ in the Jonathan Swift Theatre at 5pm on Monday 24th February. The event is hosted by the School of Social Work and Social Policy in association with Children’s Research Centre. Professor Theron is principal co-investigator in the five-country Pathways to Resilience Study and the two-country SISU Study (see www.Lindatheron.org). New endeavours for Khazimula: reinventing lives with Khulisa! 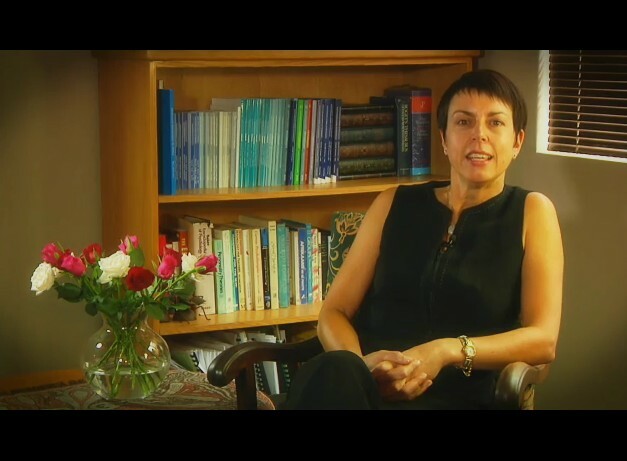 In November 2014 Lesley Ann van Selm, the director of Khulisa Social Solutions, approached Prof Linda Theron about the possibility of Khulisa collaborating with The Pathways to Resilience team. Her enquiry was prompted by Adien Lindström, a member of the Advisory Panel to the Pathways to Resilience Project – at a meeting of stakeholders from Bethlehem, Adien and Lesley Ann met and Adien suggested that in order to support youth in the Bethlehem area optimally, Khulisa should build on the work of the Pathways to Resilience Project. 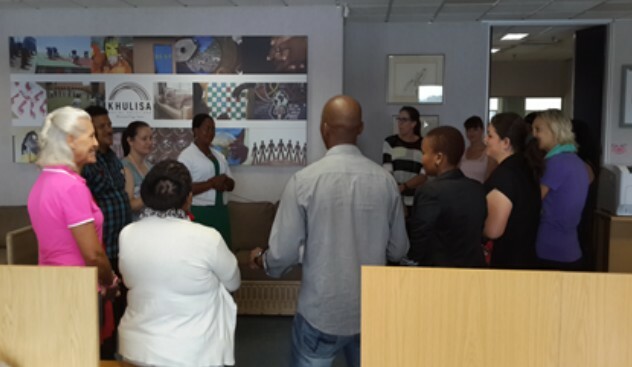 After a couple of meetings with Prof Linda Theron, Lesley Ann invited the Pathways Team to train Khulisa’s master trainers in the use of the NWU-accredited short course on Khazimula. 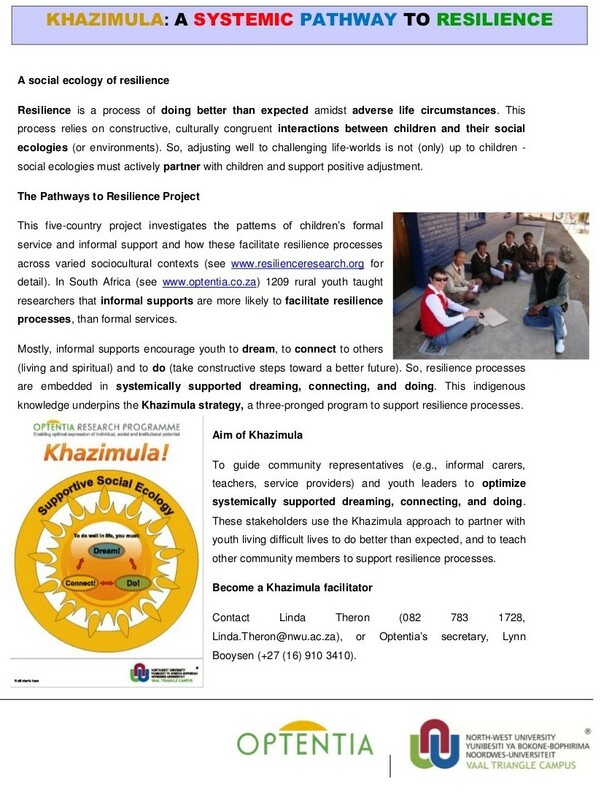 Khazimula is the intervention program that flowed from the Pathways to Resilience Project (explained in detail in previous Optentia newsletters). 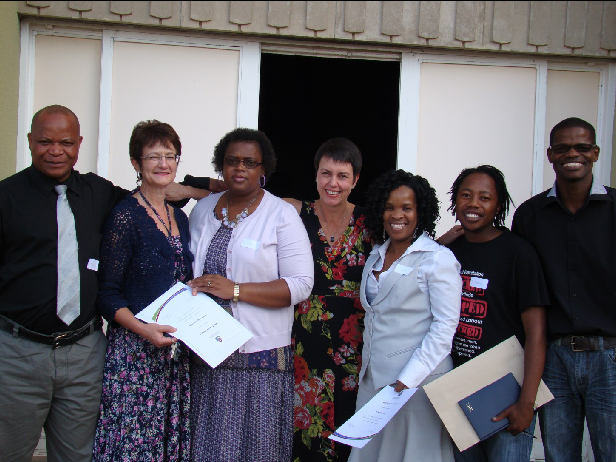 Following the Pathways to Resilience Team’s (particularly Prof Linda Theron, Tamlynn Jefferis and Angelique van Rensburg) compilation of a short learning program (SLP) on Khazimula, it was formally accredited by the NWU. The SLP consists of four modules: (i) an introduction to resilience and a social ecological explanation of resilience processes; (ii) an explanation of how systemically supported dreaming informs resilience processes and suggested activities to stimulate such resilience-supporting dreaming; (iii) an explanation of how systemically supported connecting informs resilience processes and suggested activities to stimulate such resilience-supporting connecting; and (iv) an explanation of how systemically supported doing informs resilience processes and suggested activities to stimulate such resilience-supporting doing. 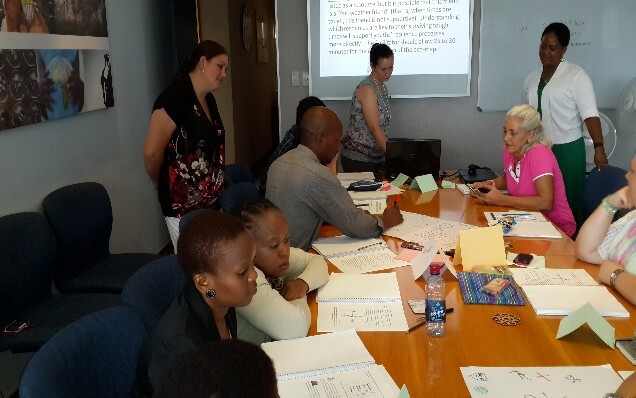 On 4-5 February 2014, members of the Pathways to Resilience Team (Prof Linda Theron, Tamlynn Jefferis, Angelique van Rensburg, Puleng Serathi and Tonette de Jager) engaged 12 master trainers from Khulisa Social Solutions in the SLP on Khazimula. This dynamic group of trainers came from Gauteng, KwaZulu Natal, North West Province, the Free State and the Western Cape. After two days of intensive training, this group was enthusiastic. Amongst other things, they were eager to actively promote resilience in youth across South Africa and believed that the flexibility and comprehensiveness of the Khazimula program would support this intention. Moreover, the trainers saw many parallels between the Khazimula activities/aims and current Khulisa programs. These synergies made them even more enthusiastic to start using Khazimula. However, the trainers are not accredited Khazimula facilitators yet. They have a month to implement Khazimula and prepare a visual portfolio to demonstrate their use of Khazimula which will be assessed by the Pathways team. Successful completion of this assessment will lead to the trainers becoming the first NWU-accredited Khazimula facilitators. A second round of training has been arranged with Bethlehem Child and Family Welfare in April 2014 and a possible third round in Cape Town in July 2014. The Pathways to Resilience Team is thrilled that the findings of the Pathways to Resilience Project are making their way back to South African communities in the form of Khazimula in ways that should be sustained even when the project comes to an end in December 2014.
amlynn Jefferis, Angelique van Rensburg & Puleng Serathi facilitating the training of Khulisa staff. The first SISU team meeting was held from 20-24 January at the University of Helsinki (UH), in Helsinki, Finland. SISU is a Finnish word that is broadly understood to mean resilience. The SISU project (co-led by Prof Kristiina Kumpulainen, UH and Prof Linda Theron, Optentia) investigates the social ecologies of resilience among at-risk children starting school in Finland and South Africa. It is a visual participatory study. The purpose of the first team meeting was to revisit the research plan which has been funded by the NRF (2013-2015) and the Academy of Finland, and to train the PhD students in the use of the participatory visual methodologies that inform SISU. The entire South African SISU team (Profs Tinie and Linda Theron, Prof Tumi Khumalo and PhD students Carla Bezuidenhout and Carlien Kahl) participated in this valuable first meeting. The meeting was reported by the Academy of Finland (see http://www.aka.fi/en-GB/A/Programmes-and-cooperation/Research-programmes/Etusivun-elementit/Resilience-key-to-getting-off-to-a-good-start-at-school/). First SISU team meeting - The SISU Team (Back row: Prof Kristiina Kumpulainen, UH; Anna Mikkola, PhD student, UH; Saara Salmi, PhD student, UH; Prof Linda Theron, Optentia; Prof Tinie Theron, Optentia. Front row: Carlien Kahl, PhD student, Optentia; Carla Bezuidenhout, PhD student, Optentia; Prof Tumi Khumalo, Optentia). 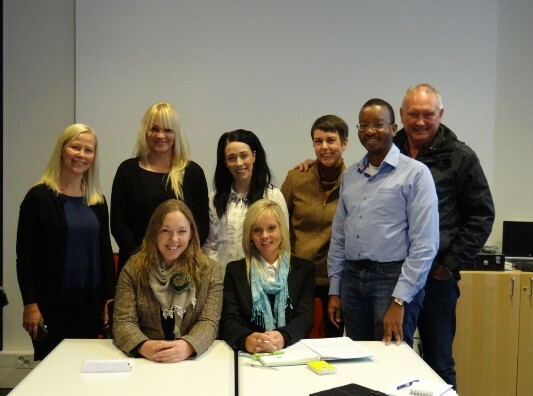 Not only did the meeting offer the Finnish and South African teams an opportunity to bond as the SISU team, but it also gave the SA team an opportunity to experience first-hand what very different risks threaten the development of Finnish children compared to South African ones. For example, the Finnish team will recruit children who are placed at risk by their coming from very affluent homes where parents have too little time for their children and/or too high expectations of their children. In comparison, the South African team will recruit children from economically disadvantaged communities as this is a pervasive context of risk in South Africa. The realities of the South African context were expertly demonstrated in the presentations made by the PhD students Carla Bezuidenhout and Carlien Kahl. Even though the very warm welcome by the Finnish team made up for the bitterly cold weather (-14C to -18C), the next meeting will be in November 2014 in sunny South Africa. Linda Theron and the Pathways to Resilience & Post-traumatic Growth Program is looking very forward to welcoming and hosting the Finnish team. In the meantime, both teams will be engaged in rigorous data generation. entitled Promoting resilience processes for youth with complex needs: Cross-cultural experiences of service use. With the support of the Dean’s Office, Faculty of Humanities, Vaal Triangle Campus, North-West University and Optentia Research Focus Area, Linda Theron and the South African Pathways team hosted Colombian, Canadian and Chinese researchers and community members collaborating in the international Pathways to Resilience project. 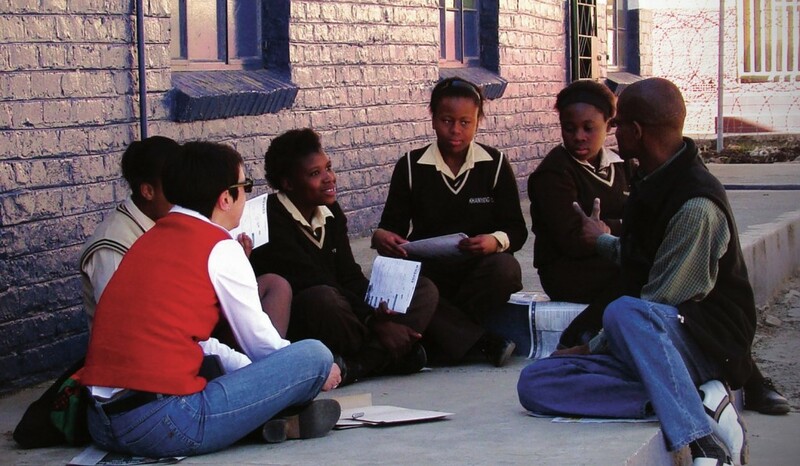 From 28 July to 1 August 2013, researchers, community members and students reflected on the findings emerging from the Pathways project and considered meaningful ways of disseminating these findings. In particular, there was focus on finding effective ways of partnering with communities so that the quality of available services would be emphasized in interventions towards resilience, and so that interventions would be tailored to the complex cultural contexts in which youths are embedded. 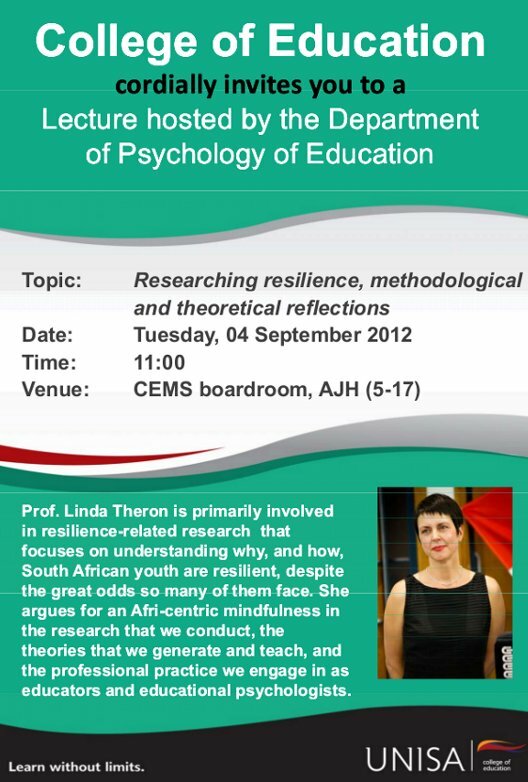 In recognition of her resilience-focused research, UNISA’s Department of Psychology of Education invited Linda Theron to be the first guest speaker hosted by this newly constituted department. 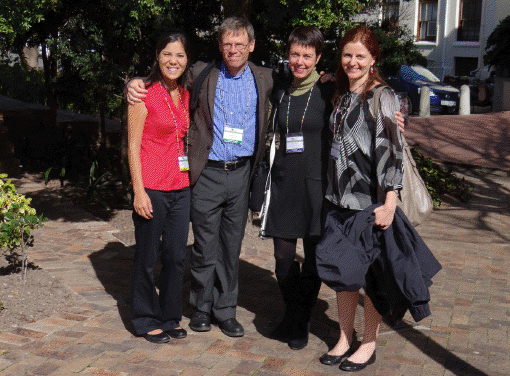 Linda delivered an address drawing on her experiences of conducting resilience research in South Africa. The address, which urged the audience to challenge the hegemony of western explanations of resilience, was entitled: Researching resilience: Methodological and theoretical reflections. The Pathways team has started to disseminate some of the findings about how young people are encouraged to resile. The first dissemination was in Bethlehem on 23 March 2012 in the school hall of a local primary school. Some 57 community members (teachers, principals, religious leaders, newspaper reporters, NGO representatives, social workers and psychologists) accepted the team’s invitation to learn what youth the Bethlehem area report as resilience-promoting. Those present were enthusiastic about the findings and urged the research team to engage in follow-up vi-sits. The Advisory Panel (AP) that forms an integral part of the Pathways project also received certificates of commendation on this occasion for their selfless service to the project. The researchers, AP, and community members made much of an opportunity to talk more informally and ask many questions whilst enjoying refreshments.